The reason being is that trading properties is just that. You do absolutely nothing to the property. You simply buy and then sell. No refurbishment, no extensions, no loft conversions etc. There is no need to pander to the whims of an owner occupier interested in your property regarding décor or location as you will be dealing with property businesses. The property has to be bought cheap so as it can be sold cheap. You make small margins on each property and you focus on volume. That is to say you are better of selling 10 properties to make a quick 10% on each one rather than holding out for 100% profit on one property and realising none. There are plenty of buyers of cheap properties even in a credit crunch. As long as you have bought well enough to even factor in a further decline in prices then you will make money. I know of property traders who are able to buy properties at 15% of market value. Yes 15% of market value. These guys are committed to the deal. When they get whiff of a bargain property and they know that the vendor perceives their options as limited they show no mercy! They will pay the least they can. This game is for vultures who are determined to succeed. If you can achieve this then you will become wealthy. I know of plenty of property traders who do just this. NEVER getting their hands dirty. Just shuffling a few bits of paper between solicitors and lenders and creaming off 10 to 20% gross profit each time they trade. And remember we are not talking 10% of a small figure. We are talking property prices. So assuming an average transaction value of £100k then each trade can make you £10k a go and sometimes a lot more. Now let me explain the formula in a bit more detail and why it is so. Do you think those guide prices are reasonable? Do you have any idea or would you be just guessing? Now you have to know what each property is worth in its current condition in todays market to spot whether it is a bargain. This I will show you how to do. It involves getting in to the mind of an investor to really work out what these properties are worth. It is these investors who will buy from you so you need to know what makes them tick. Now before you wonder why an investor will not buy a property before you then think again. The property market is a very imperfect market. That is to say true market prices are hard to realise. The property game does not have the equivalent of the London Stock Exchange where a near perfect market exists. The Property market exists as a mass of mini platforms such as property auctions, estate agents and private sales. All littered with arbitrage possibilities. That is to say you can buy from one mini platform and sell to another and make a profit for doing so. So as long as these mini platforms exist then there will always be opportunities to make money simply by buy and selling properties. This is a B2B trader game. Nice and clean and plenty to make. it guarantees you at least 10% profit on your deal. 10% will net you at least 5% profit after all fees on an average purchase price of around £100k. This equates to £5k per deal which really should be the minimum you should expect from each property transaction. 60% of market value is a bargain to an investor. There should be no reason why you should accept anything less. If the investor is the end user i.e. the investor expects to buy it and hold on to it then they will be more than happy to accept something that is at 60% of market value. If they want more of a discount they are simply being greedy and tell them so……and if you are not brave enough say I said so! 60% of market value should result in a swift sale which is what any property trader would want. I will explain the reasons why in the next bit. A trader makes their money by selling. If all a trader did was buy then they would make nothing as they would not have realised a sale. So for example if you had a trader who bought correctly at 50% of market value but wanted to sell only at 100% of market value then this trader could wait a very long time. the property market in general may have dropped – this will mean you will have to revise your asking price downwards. If you do not then you will never sell until the market recovers and that could be ages away. the property itself degenerates – the longer you hold the longer something can go wrong. As the owner you assume all the risks of ownership. This means if there is a burst water pipe destroying all the fixtures and fitting then you have to pick up the bill. If you have insurance then you may be covered but there are quite a few exclusions so be prepared to pick up some of the bill. The longer you hold the more interest costs you pay. This cost directly eats in to your margin. So if your interest costs are £1,000 per month and you think it will take you 6 months to get £3,000 more on the selling price then is it really worth it? A trader should always want to minimise their holding costs and opt for a swift and quick sale. Exposure – this is a term to state whether a trader is in the market or out. If you are a trader holding £1m worth of property that is up for sale then you are in the market. You are exposed. No lets just say the credit crunch hits. Now depending on how quickly you can sell by slashing prices and cutting your losses you could find yourself in the bankruptcy courts. This has happened to a lot of these traders who simply got too confident. As a trader you want to keep your exposure to the minimum. If you had sales going through at 60% market value during a credit crunch you would still be able to sell probably as the buyers would still appreciate that it is still a bargain regardless of the climate. There is enough of a safety buffer zone for everyone when you are at 60% of market value. So I hope you can see that the idea of a trader is to buy very cheap, don’t be greedy, sell cheap and do it very quickly. So lets get in to what is very cheap. You need to be able to work out what market value is with a certain degree of accuracy to then establish what very cheap is. So what is market value? When you are a B2B trader I deem market value to be what market value is to an investor. An investor deems market value to be what sort of return they want to get from an investment. Now there will be variations to this. In some areas a higher return is wanted and in other areas a lower return is wanted. So for example where I invest in Hull I would want a 15% however another place I invest is Harlow and a 10% return would do. But on average a 12% return is pretty damn good. In pre-credit crunch days a 5% return was touted out as good. All change. Sensibility has come back to the market. I would never buy at such a low return and nor did any professional investor back then. Market Value = (Monthly Rent x 12) divided by 12%. So if you see the property for sale at anything below £25,000 then grab it. You will find an investor who will pay at least 60% of market value being £30,000. Now this would assume it is in rentable condition. Properties that require work need to calculated in a different way. £25,000 - £20,000 = £5,000. So if the fire damaged property came to auction (which is where they usually end up) the max price that can be paid id £5,000. That’s a minus figure. Hence the property is worthless and you would have to be paid £5,000 to take it on. This explains why there can be plenty of properties that will just sit empty as they will never find a buyer. The only way these sort of properties can ever come back to life is if the council provides grants to would be purchasers. If these grants are not forthcoming then the bull dozers come in and knock the properties down. Now you have to be able to estimate what the cost of the works will be. This is where the skill comes in. if you over estimate you will deem the buy price too low. If you under estimate you will deem the buy price too high and end up buying something you cannot sell. These are very rough prices and I have ignored size. I just attribute a general figure which I apply to any property that comes my way. So if I see a 2 bed flat which has old décor then I would guesstimate the cost of the refurb as £10,000. I know I could do it for less than that but it allows for any unexpected problems. Now these refurb costs assume a housing benefit claimant living there. So the finish is basic. Do not expect to get a Versace bathroom out of these budgets! If you are thinking of trading anything over a purchase price of £125k then I would adjust the refurb costs to match the intended person who will be living there. So if a fire damaged flat in Mayfair comes up expect to spend a little bit more than £20k! The reason why bargain properties can be grabbed here is because reserve prices can be low and the competition can be low. A property ends up in auction as a last resort. Auctions are great for sellers as exchange of contracts happen at the fall of the hammer and the buyer is financially committed to the purchase. If you compare that to the traditional way of buying where exchange of contracts does not happen until the near end of the purchase. Lots of sales fail to make it to exchange as buyers change their mind, fail to get finance etc. So a seller entering their property for auction is already primed up to accept a lower price. Some sellers may even be desperate and this is the sellers only chance of realising some cash quickly. Banks only really care about getting the amount they lent back plus fees. This could mean only £25,000 is needed on a property worth £200,000. So a property could be entered worth £200k with a reserve of only £25k. This property will be sold to the highest bidder. If there aren’t many bidders then BINGO! This all results with some, but only some, properties with low reserves. It is these properties that can be had as bargains. Now it is not enough to find properties with low reserves. If there are plenty of bidders in the auction room then the property will get bid up and sell for well in excess of the reserve. Imagine an auction hall that is empty and there you have the perfect auction hall. This will mean that you will be the highest bidder in every scenario and all you need to do is name your price. When your named price is in excess of the reserve then you have a match! Now most will not but some will. You want to be in an environment where either of the situations above can occur. This is when there are few buyers for specific properties or few buyers in general. This can occur in the three different types of auctions. National auctions are where properties from all over the UK get auctioned off at one Auction event, usually in London, and are used by big sellers such as the well known banks and large investors. There are times when you may get a property in a little known town being auctioned off sandwiched in between a mansion in Hampstead and a Block of apartments in Birmingham City Centre. This little property may have low interest levels and Mr Local Landlord from this little town is simply not there to bid. So this property will either get no bids (which is very common) or your bid! So look out for these large national auctions. It is here where you can benefit from the situation of having few buyers for specific properties. If you have the time and are patient you could just grab a bargain that everyone else misses. These auctions can be as large as the national ones. They can throw up some bargains if there a few people attending. Going to these auctions during the summer months and the ones either side of Christmas can be great. While the others are on holiday you can be buying! It is here where you can benefit from the situation of having few buyers for specific properties. These are auctions which sell local properties only. So these will be town or city specific. Now these auction halls can be baron. There can be as few as 10 people in the room and you will find that a couple of them will buy nearly everything and leave the rest because they run out of cash or just do not favour the property. It is here where you can benefit from the situation of having few buyers in general. So remember you want to find properties with low reserves within a room of few buyers. Then the bargains can be had. You can find these local auctions in the reference chapter along with all the regional and national auctions. Desperate sellers are private indivduals who have or about to default on their mortgage commitment. They may have lost their job or have over borrowed and can no longer afford to pay their mortgage. These buyers want out quick. They do not have money to get a HIP, time to muck around with prospective buyers looking for a home or the patience to deal with estate agents! They want a buyer who will give them the best price which will clear their mortgage and give them a little bit on top so they can go on holiday. Your only competitor at this stage are other buyers like you. To beat the competition at this game you need to be fast. They all have an easy to fill out form prominent on the site to capture the desperate seller’s details. It is these details that will make you the money. So once you have their details you need to follow up with a phone call ASAP. If you look towards the back of any tabloid newspaper you will see the ads next to all the unsecured loans and business opportunities. Again they will have the headlines “SELL HOME FAST” etc. To advertise here costs around £200-£500 per day. You can specialise by region to get a cheaper price. If you want to start off gently you could consider local advertising. Every local paper has a classified section and usually they have a property section. The section you should be going for is “PROPERTIES WANTED” and again use a catchy title that will attract a desperate seller to pick up the phone and call. You could consider display advertising but remember this is expensive. You have to have your business model down to a tee if you are going to do this. You should be quite clear how many leads you expect to get for every pound of advertising. Display advertising is the logical next step once you have made the classified advertising work. This is where you print up some leaflets and get them delivered to your chosen area. Again you would put something attractive such as sell your home fast etc. and your phone number. You could use a call centre and use an 0800 number. Then the call centre will send on the message via email and the call would have cost the home owner nothing. Always put an alternative number such as a mobile as well. Some owners may have had their phone cut off and all they can use are their mobiles and some mobile companies charge hefty for numbers that start with an “08”. If you are going to give this to someone else to do make sure they are trustworthy. You do not want to find them in the local bin or spread across the playground park. I know some people offer the person dropping the leaflets a £100 bonus for every deal they find as a result of their leafleting. Not a bad idea me thinks! Cash is the best way to buy these deals but I am going to assume you have very little. Even if you do have bundles of cash it is always best to think you do not so as to get the best return on your money by using other people’s money. If I told you the buy to let mortgage market had shrunk over the years then that would be an understatement! We had 4,000 buy to let mortgages back in 2007 and now at the time of writing we have exactly 59. The good thing is the only way is UP. These refurbishment mortgages allow you to buy properties that are unlettable by putting down only a 30% deposit. The mortgages remove the risk of a valuer knocking back a property because of its condition. When you are trying to buy at 50% of market value it is likely there is going to be some refurbishment required even if it is just light. This includes even tenanted properties. The amount of times I have had properties that have been tenanted and perfectly liveable (as proved by the tenant) knocked back by a surveyor as unmortgageable has been quite a few. These refurbishment mortgages enable you to buy without this worry. Since you are trying to buy and then sell you want to use a mortgage lender that is not going to baulk at the first sight of a damp patch on the living room wall. They also give you a back up strategy if you are unable to sell as these lenders will lend you 70% of the value of the property post refurbishment. They sometimes give you the value at the same time when they value it when requiring work and you sometimes get the absurd happening when the valuer values the property a fair bit higher than what you paid for it. If this opportunity arises where the valuer gives a generous valuation post refurb then please be clever enough to spot it and change the strategy (like buy, refurb and sell to first time buyer etc.) to get a better return. Now you still need to come up with the 30% deposit but it is better than coming up with the full amount. The great thing is it is easy to rack up a big credit limit with these lenders. They will probably lend 70% to every 30% you can find. So if you can get your hands on £3m I would not be surprised if they lent you £7m. Commercial finance is where lending is conducted outside of the CML (Council Of Mortgage Lenders) rules. All buy to let and residential mortgages follow these rules. The great thing is there are mortgages that do not have to follow these rules. This is where commercial finance comes in. No minimum valuation – This is how I built my portfolio quickly. A lot of properties fall under lenders minimum valuations. Most have the minimum valuation of £50,000 and very few have £40,000. So if a property worth £60,000 comes up for sale for £30,000 then you cannot get a mortgage from a regular CML buy to let lender. However commercial lenders are a lot more sensible and will happily lend up to 70% of ANY purchase price. No 6 month rule – This 6 month rule has caught a lot of property people out. The 6 month rule means you cannot remortgage or purchase a property that has been owned for less than 6 months. So if you wanted to buy a property worth £60k for £30k and remortgage a day later at a value of £60k you would not be able to. You would have to wait 6 months to do so. With commercial lenders you do not need to wait. Tailored Service – the terms agreed are set by you and the lender. So you agree the rate, LTV, arrangement fees etc. It is up to you to strike a good deal. They often offer as a margin over base and you can actually get deals that are much better than your standard buy to let lenders. You need to have an existing minimum borrowing level of min £250k usually £500k. They like to deal with full time property people. A certain level of borrowing usually indicates whether you are serious about investing or just playing. 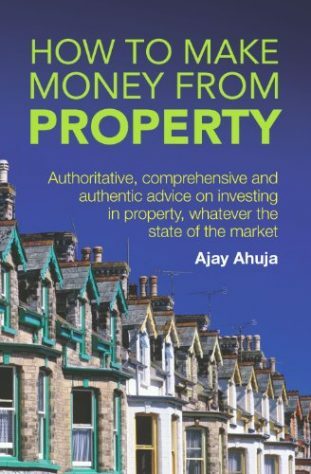 If you are currently doing property as a hobby but want to be full time can I ask you to re-read part II of the book. Believe me it can be well worth it just to get access to commercial finance. Reapyment mortgages only. These lenders hate interest only. I have tried to get interest only many a time but the best you can get is a couple of years interest only and then it reverts to capital and repayment. Max term 20 years. My commercial mortgages are 15 years repayment. They result in hefty monthly mortgage payments even though the rate is at a sensible 3% borrowing rate. I am smply paying back the capital over a short period of time. So make sure you sell the property quick! Loan to Values (LTV) are usually around 60%. So in some circumstances you can get 70% ( I have heard of 80% but is very very rare) but expect 60% as a typical LTV. You may need to open a bank account with them. Depending on how pushy they are being they may want you to switch your business account to them and then charge their banking fees. Do your sums. If it is your only option then you just have to do it. Having a commercial lender is VERY beneficial in the property world. So weigh up the pros and cons of commercial mortgages and decide on whether it is right for you. If it is contact a high street branch and they will point you to the right department. My broker also has links with commercial lenders in specific branches so we can you approved also so do not be afraid to ask! Bridging finance is short term finance that people use to buy at auctions. They advance the money fast to ensure you adhere to the tight completion deadlines set by the auctions. So you can see the costs can add up. 70% of the valuation of the property. So if you had managed to get a property worth £100k for £70k the bridging company would lend you 70% x £100k = £70k. This is 100% finance. A bridging lender will lend 100% of the purchase price if the valuation is significantly in excess of the purchase price. Traditional lenders would only lend you 70% x £70k = £49k. So you would have to find £70k - £49k = £21k as a deposit. If you do not have £21k then no deal unless of course you have access to bridging finance! The sky really is the limit. As long as you can find the deals then there is no limit to how many you can buy. The only real limit is the total credit limits set by all the bridging finance companies that want to work with you. So do you maths very carefully on this one. I mentioned above you want to sell quickly in this game. If you get bridging finance then you want to sell doubly quick as you are paying 1 to 2% a month. On a £100,000 loan that is £1,000 to £2,000 per month holding cost – ouch! So try and buy really really cheap to factor in a hold of 6 months. 40% of market value would be a good threshold but ultimately its your call. Now before you reach for the business plan creating software I will let you know that most investors do not property trading or investing ideas. I am not sure why but whenever I have looked in to the venture capitalists criteria they all say no property business plans. It could be the climate we are in or the fact that most plans require additional borrowing which scares them as the risk profile changes massively. There are lots of people around you who want to make money but cannot be bothered to work for it. They may have some cash tucked away and they want to put it to work. So a venture capitalist could be closer than you think! Now I do not have to explain the delicate nature of going in to business with friends or family but just remember to be clear from the start and put everything in writing ESPECIALLY if they are related to you or you know them well! Now as explained earlier you need to sell the property QUICK. This means you may not get necessarily the highest price but it will mean you can make a very healthy living. Estate Agents There is no sales commission to pay with an estate agent until you sell. So you can list your property with as many estate agents in the area. I recommend you go multi-agent and explain you want a quick sale. You will not take the property off the market until exchange of contracts. You will have to pay for a Home Information Report (HIP) which is about £250. Set the price at around 75% of market value and let the prospective purchasers bid you down. Auction Even though you have found a bargain at Auction you can still sell at auction also. You simply want to do the opposite of what I told you earlier. You want to place your property where there will be many bidders for the property. The great thing about auctions you do not need to wait for the sale date. You will get plenty of bids prior to auction if you are not greedy. Property Sourcers Property sourcers (like me!) have plenty of hungry clients who will take your property if the figures stack. I know I can sell any property that yields 7.5% and is at 70% of market value within 2 hours. The reason for this is that kind of property is attractive to around 80% of the investors out there! So price it right you can get rid of deals in a few hours. That is why so many property dealers in the UK work with us is because we have so many clients who buy. Private Ads It can be worth advertising in local papers and websites. For ads that cost less than £25 you could get a profit of £10k. It is kind of a no brainer isn’t it? With all of the activities above you should give yourself the best chance of getting a sale. And remember what I said all the way through this: DON’T BE GREEDY!